Get out and enjoy Minnesota's vast trail network! 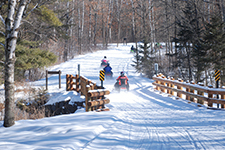 There are over 22,000 miles of groomed snowmobile trails, with over 21,000 miles maintained by local snowmobile club volunteers. Keep safety on your mind this season every time you ride! Check trail availability before you go! Need information about a specific trail? 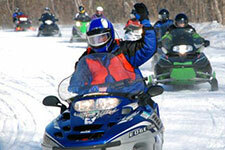 Please ride safely, and remember to check that your sled has a current registration.